7th SpIRE Public Lecture, Jesuit Conference Centre, Dublin, Ireland. Once again, there was a capacity turn out for another lecture in the SpIRE series. Drawing on her experience of growing up in apartheid South Africa and working in spiritual direction in post-apartheid South Africa, as well as on research on spirituality and trauma, Dr Paulin-Campbell reflected on lessons to be learned that could serve contemporary Ireland as it journeys with trauma and spiritual desolation. “Is there a communal experience of trauma and/or spiritual desolation now in Ireland? 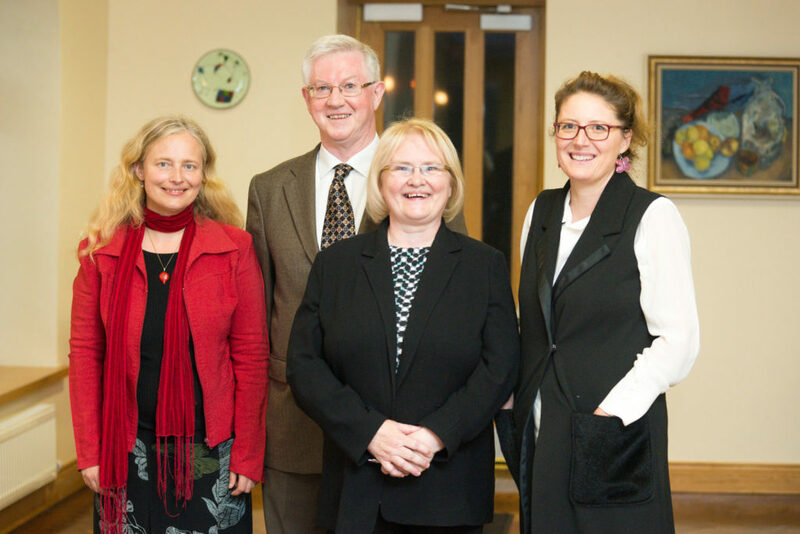 L-R: Dr Annemarie Paulin-Campbell, Jesuit Institute, South Africa, speaker, with SpIRE team members, Dr Michael O’Sullivan, sj, Dr Bernadette Flanagan, pbvm, and Dr Noelia Molina.